Central Board of Secondary Education (CBSE) is all set to conduct the Central Teacher Eligibility Test (CTET) for the session 2014 on September 21. 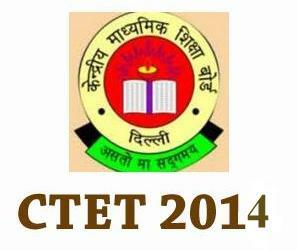 CTET will follow a multiple choice question paper pattern. For every correct answer, the candidates will be awarded with one mark and for a wrong answer, no negative marking is applicable. Paper I will have 150 questions carrying 150 marks to be solved in a duration of two hours and 30 minutes. The test items in Mathematics and Environmental Studies will focus on the concepts, problem solving abilities and pedagogical understanding of the subjects. In all these subject areas, the test items will be evenly distributed over different divisions of the syllabus of that subject prescribed for classes I - V by the NCERT/ CBSE. The questions in the test for Paper I will be based on the topics prescribed in syllabus of the NCERT/CBSE for classes I - V but their difficulty standard as well as linkages, could be up to the Secondary stage. Paper II will have 150 questions carrying 150 marks to be solved in a duration of two hours and 30 minutes. Science will focus on the concepts, problem solving abilities and pedagogical understanding of the subjects. The test items of Mathematics and Science will carry 30 marks each. The test items will be evenly distributed over different divisions of the syllabus of that subject as prescribed for classes VI - VIII by the NCERT/ CBSE.